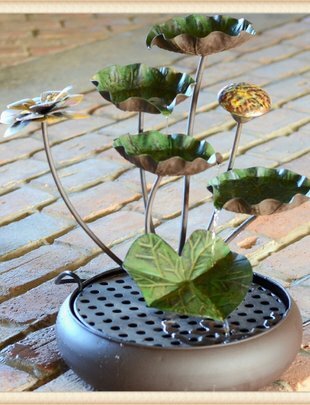 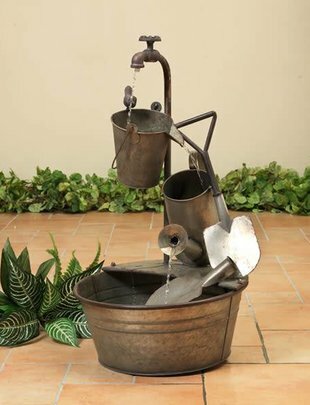 This three tiered stacking tub fountain would be a great addition to any outdoor or garden area. 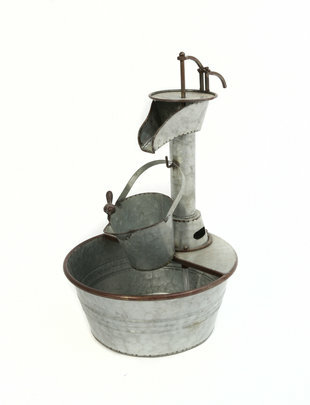 It is metal material with an electric pump included. 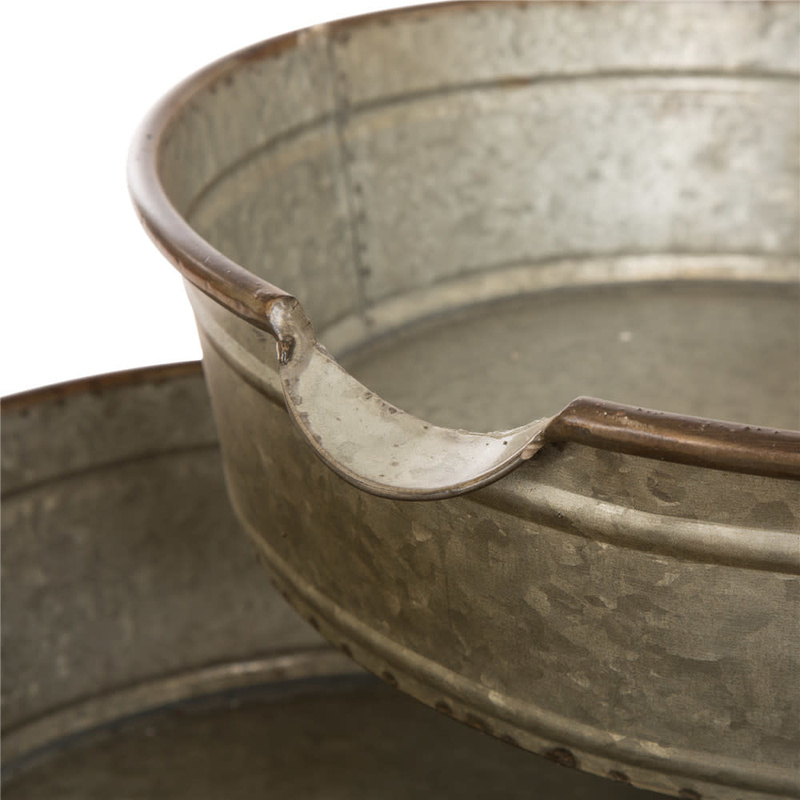 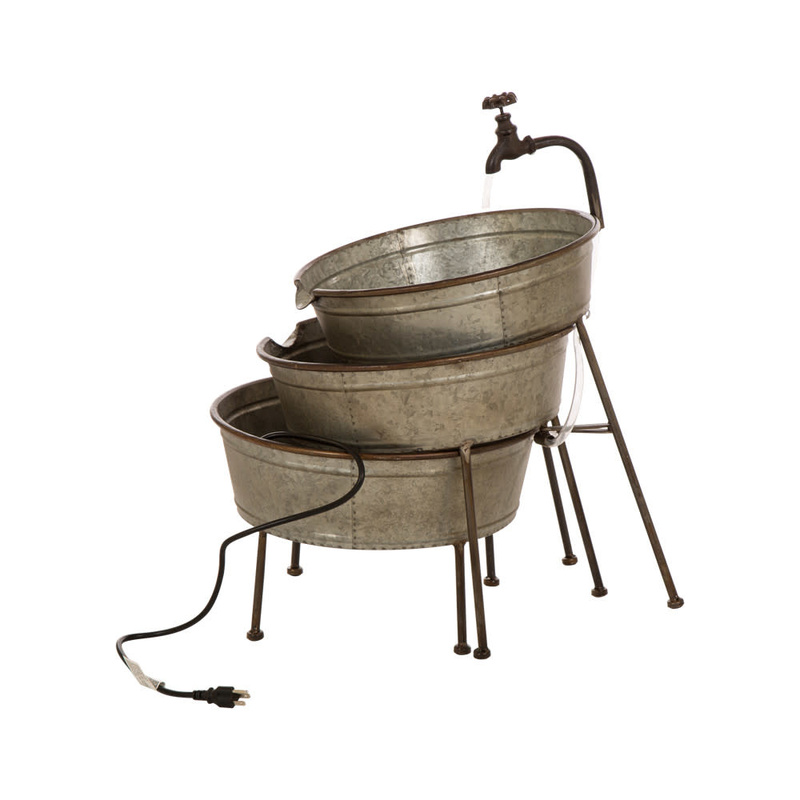 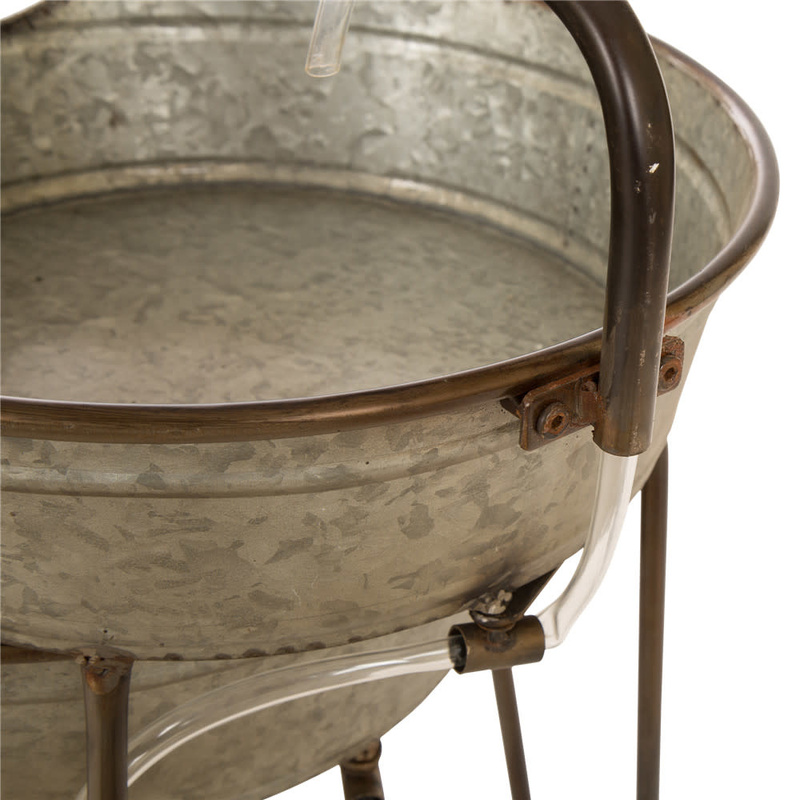 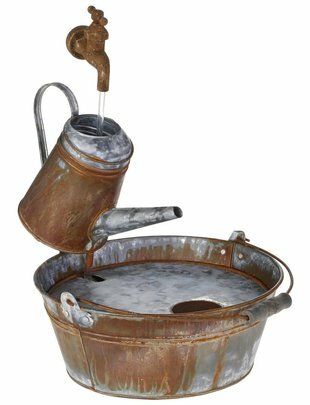 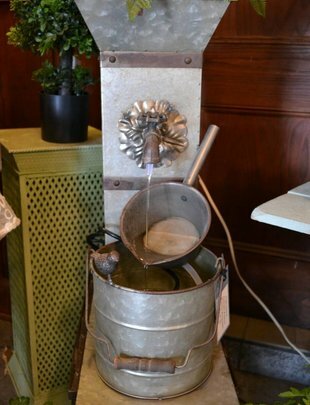 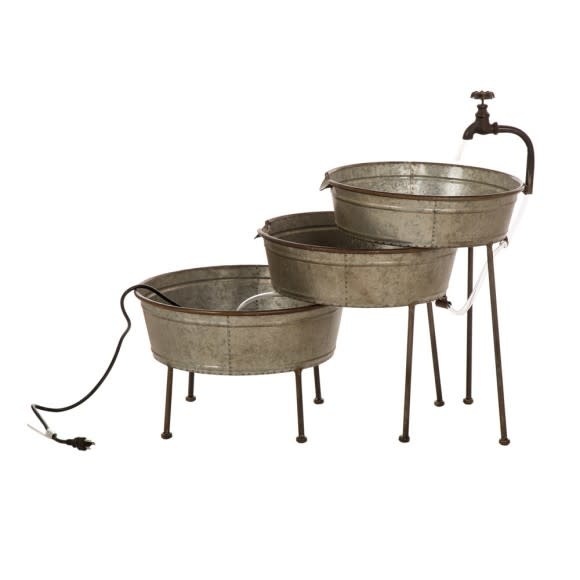 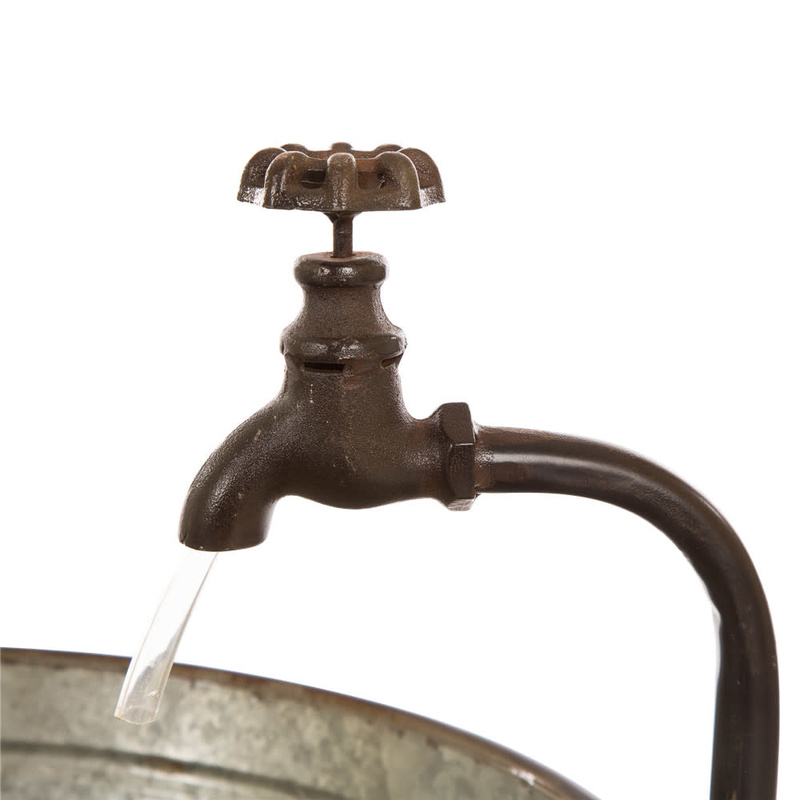 Water flows from the vintage looking faucet into the galvanized old washstands resembled tubs. 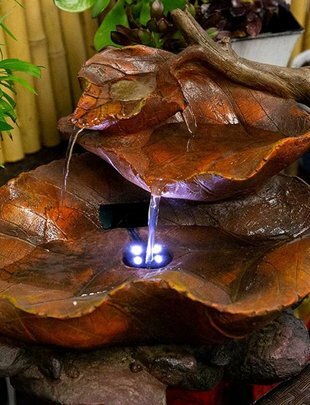 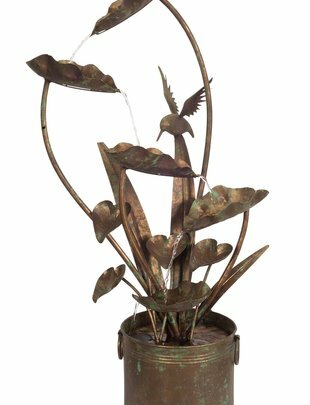 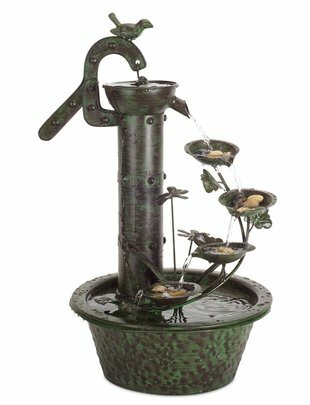 This fountain is intended for outdoor use and is sure to make a statement in your yard. 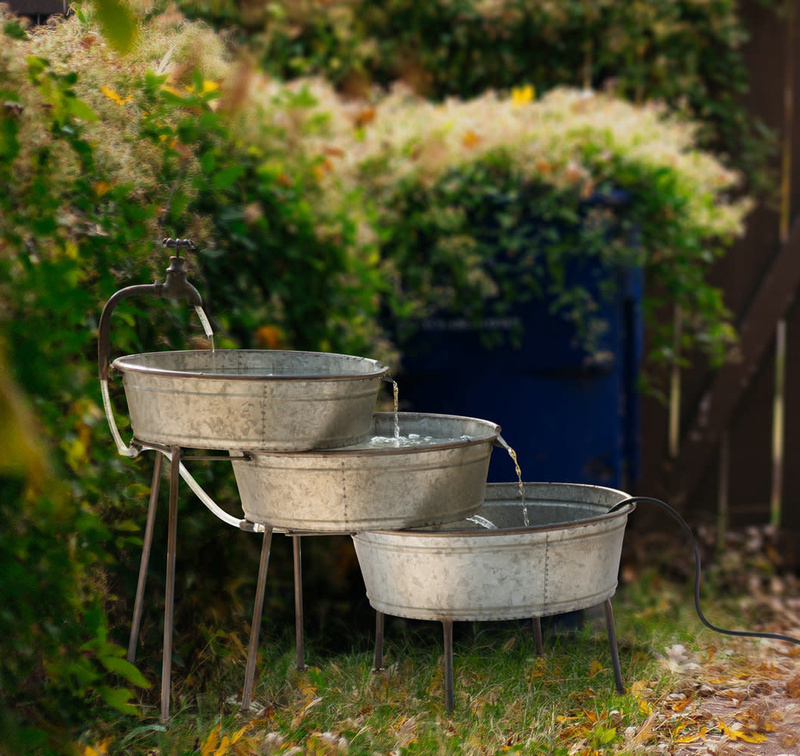 Coat with SunGuard UV Protectant routinely to prevent fading, rusting, and weathering.